CBI Scotland members this afternoon (19 April) attended an exclusive briefing for business leaders on the impact of the eagerly awaited Queensferry Crossing as it approaches completion. More than 30 senior business executives heard presentations on the project from Transport Scotland personnel, including David Climie, Project Director for the Forth Replacement Crossing Project, hosted by Transport Scotland at its contact and control centre overlooking the Firth of Forth. With the new 1.7 mile, £1.35bn bridge due to open to road users later this year, the briefing provided a timely preview of the benefits that business users can expect to see once the crossing is in full operation. CBI members also heard more about the development of Scotland’s current infrastructure projects and priorities, as well as progress to date on the updated National Transport Strategy and Strategic Transport Projects Review. “With the new Queensferry Crossing opening this year, there has been real demand from CBI members for insights on the benefits that it will deliver. It was fantastic to hear more about the story of its construction and its future role in one of Scotland’s busiest transport corridors. “It is a pleasure to welcome CBI Scotland to our project and to speak to its members about Scotland’s biggest transport infrastructure project in a generation. The new bridge will provide greater resilience to cross-Forth travel and improve the reliability of journey times, helping people get to their places of work as well as helping businesses get their goods to market. “The new bridge will provide a motorway connection between the Lothians and Fife for the first time, with two lanes of traffic and a hard shoulder in each direction. This will reduce the impact of breakdowns and accidents when crossing the Forth. The bridge also features windshielding which will all but eliminate the need to place restrictions on traffic during periods of high wind. These are key elements which will improve the speed and reliability of journey times over the Forth. “There have been significant economic benefits from the delivery of this project to date. Currently over 1,500 people are employed on site, in excess of 10,000 people have been inducted to work on the construction site since 2011, clocking up over 13 million hours of work in the process. Whilst this reflects the number of people working directly on site, many more will be indirectly employed and benefitting through the project’s supply chain. Across the UK, the CBI speaks on behalf of 190,000 businesses of all sizes and sectors. The CBI’s corporate members together employ nearly 7 million people, about one third of private sector-employees. With offices in the UK as well as representation in Brussels, Washington, Beijing and Delhi, the CBI communicates the British business voice around the world. 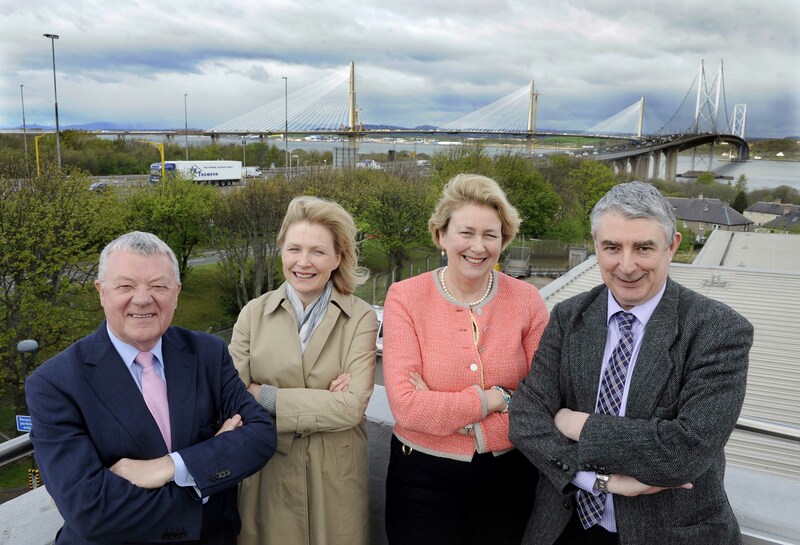 Photograph captions: From left to right: Hugh Aitken (CBI Scotland Director), Tracy Black (CBI Scotland Deputy Director), Henrietta Jowitt (CBI Deputy Director Commercial) and David Climie (Forth Replacement Crossing Project Director). CBI Press Office is available 24 hours a day on 0207 395 8239, or email: press.office@cbi.org.uk. Follow the CBI (@CBItweets) on Twitter.